No Vacation began in early 2015, and quickly received attention for the nostalgic bedroom-pop sounds off of their debut mixtape, Amo XO , and surf-rock single, Dræm Girl . A few months following the release of their second mixtape, Summer Break Mixtape. No Vacation went on an indefinite hiatus. 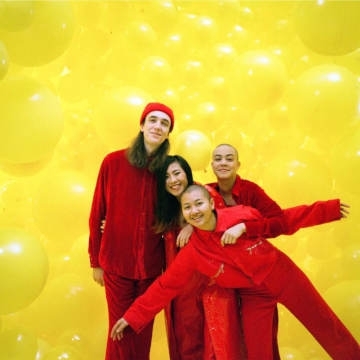 Sabrina Mai, Marisa Saunders, Nat Lee, and Harrison Spencer officially reassembled in 2017 after playing shows under various names and a few line-up changes. Since their reunion, No Vacation has released 2 singles, Mind Fields and Yam Yam, off of their new EP, Intermission , which was released with Topshelf Records this past November. As they transition out of San Francisco, No Vacation will bring the novice “wavy-gravy dream-pop” sounds of Intermission to Brooklyn.